resources industry. 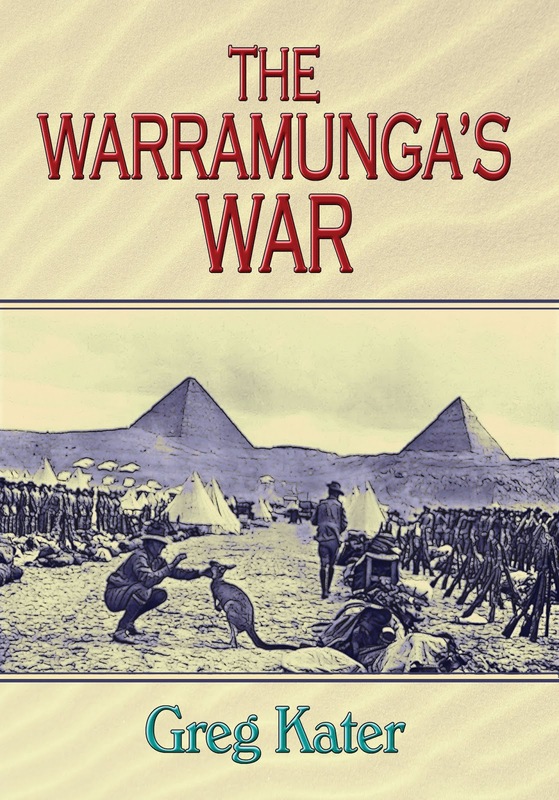 The Warramunga’s War is his first work of fiction. The Warramungas War is a tremendous story with a great plot which is filled with unexpected twists and turns. If follows two friends, Jamie and Jacko, they are soldiers fighting in the Middle East and Egypt during World War II. They became friends when Jacko saves Jamie’s life. We follow their adventures as they are assigned and complete various tasks and missions in different fields of action. Jamie, Lieutenant James Monro, is an officer in the Australian Army. While Jacko, Sergeant Jack O’Brien, is an educated Australian who is half-white and half Warramunga (an Australian aboriginal tribe soldier). Their friendship and loyalty to one another is the central theme of the book. One thing I loved about the book is that the main characters are communicating and interacting with real people from history. I thought that was written well and rather genius. While there is a lot going on in this story, it is very well written with skill and expertise. It is a fabulous creative multi genre story which includes: historical, war, mystery and espionage. Author Greg Kater has managed to compose a seemingly complicated tale yet, made it easy to read and follow. I was completely engaged from the very first chapter to the final conclusion which was fully appreciated and satisfying. I thoroughly enjoyed the espionage and mystery aspects of the narrative. Not only does the puzzle fit together like a glove, but author Greg Kater brings in an array of brilliant characters that add flavor and interest to the conundrum. The Warramungas War is filled with colorful characters that are interesting, with personalities that draw the reader in as we are introduced to them. They are well developed and fleshed out which makes for a great story and phenomenal read. The storyline is intense and compelling. The writing is reinforced as the main action goes from Egypt to Australia, which is the home for the main characters. The first part of the book is set in Egypt during World War II, while the second part is in Australia. The excellent descriptive writing not only enhanced the characters but fully lit up the descriptions of the countries and surroundings. I particularly enjoyed the way Greg Kater described Central Australia, the people, the culture and the beautiful country. I totally enjoyed The Warramungas War. It is one of the best historical, war and espionage books I have read in a long time. I was fully engaged and could not put it down, as I turned the pages quickly to find out what was going to happen next. It is an entertaining and relatively fun book to read. It is filled with excitement, danger, uncertainty and heroism. I look forward to Greg Kater’s second upcoming book. I highly recommend The Warramungas War to all readers that are looking for an excellent read, something different and a great escape. 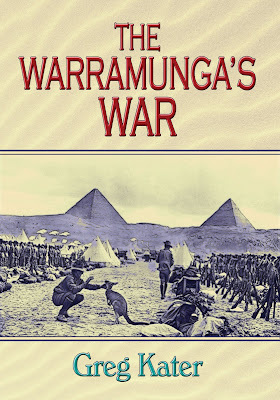 The Warramunga’s War, a historical fiction book about war and espionage, is first novel in a trilogy. Story revolves around Lieutenant James Munro and Corporal Jack O’Brien. Both were among the Australian troops that fought against the Nazi Vichy French in Syria and Lebanon. Shortly after the end of the Syrian Campaign, both, James and Jack, got promotion; they went Egypt to be part of the army’s intelligence agency in Cairo. With the aid of other operatives, their mission in Egypt is to detect and neutralize the German agents who are in contact with Rommel, the commander of the Afrika Corps. Cairo is a place full of agents from the Germans, Italians, British, and others; and these operatives are all working desperately to find out battle plans and other secrets to give to their masters. Operating in such an insecure location, will James and Jack succeed in this mission? Having some interesting twists, this book’s plot is solid and fast paced, and set in the 1940s, the narrative features spies, mysterious crime, and adventures. Written in the third-person point of view, it explores the themes of the essence of teamwork, dedication, determination, and love. Being suspenseful and absorbing, Greg Kater wrote it wonderfully, easy to read, and full of fascinating historical details. Excitingly, it gives a fair account of the Egyptian pyramids, Sphinx, and other structures at Giza. No less, the historical setting is excellent, and the narration is compelling. Besides, what makes it more captivating is Greg’s sharp writing and gentle humor. I like the way he teamed his characters to achieve a common goal; and I commend him for his vast knowledge of the military and famous wars. Lastly, this book is balanced since it consists of enthralling and sufficient conversations, action, and narration. It’s engaging and worthwhile. Undoubtedly, it will be a feast for fans of historical fiction blended with mystery and romance.